The newly remodeled and renamed James C. Pigott Pavilion for Leadership represents the transformation of an outdated facility into a state-of-the-art, 21st century learning center. 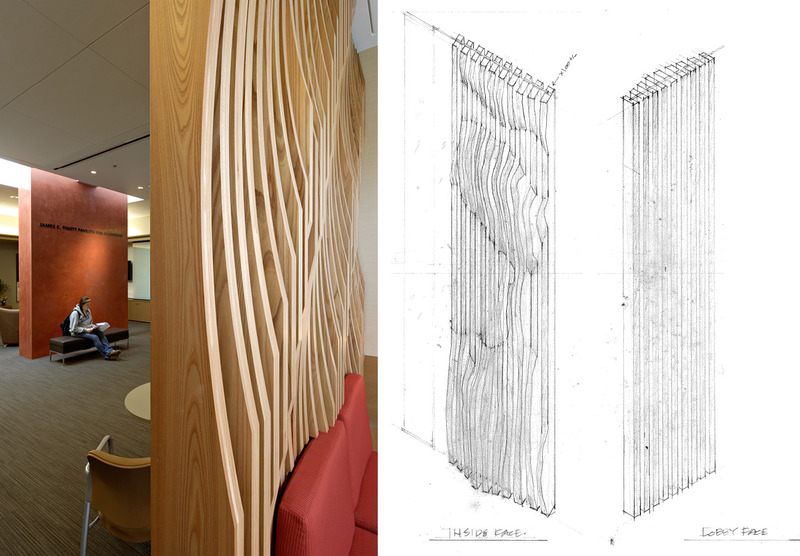 2700 square feet of space within an existing building was renovated during the process. 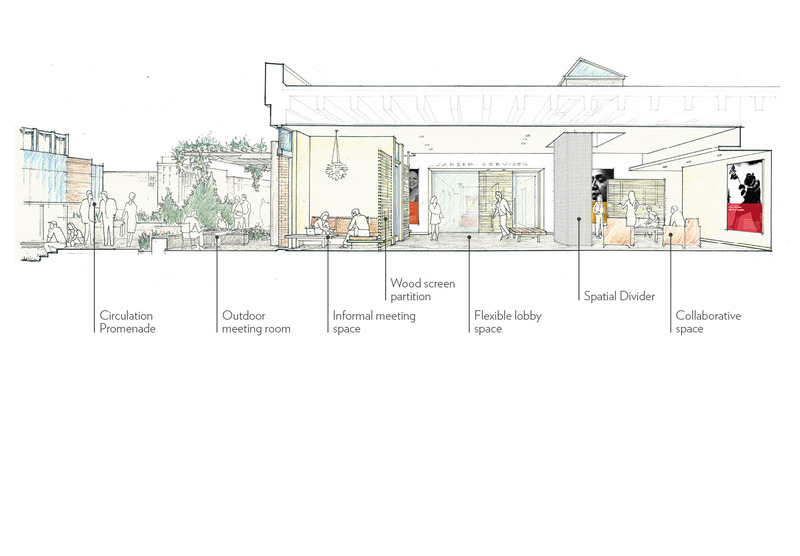 Enhancements include new student gathering spaces; two mentoring “cubes” that open onto outdoor patios; interior glass walls that allow natural light to enter interior offices; skylights for greater natural light; and an expanded terrace on the pavilion’s south side. 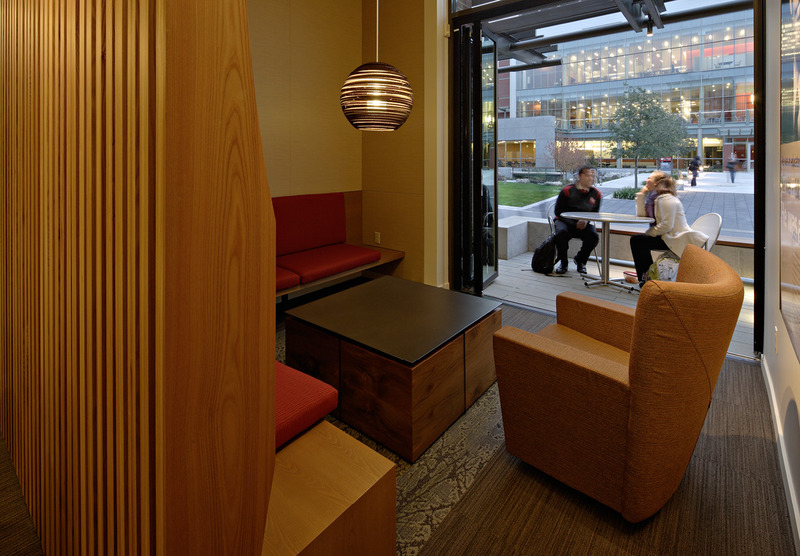 The use of natural materials, rich colors, glass, and daylight help to connect the spaces to both the outdoors and the campus. 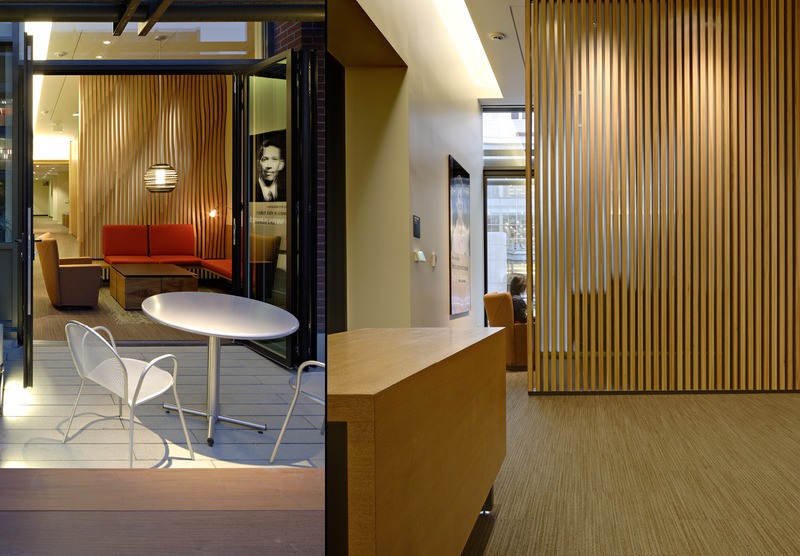 For this project, we worked closely with Seattle University facilities staff, the interior designer, and student and faculty user groups to determine needs and desires. The building’s technological, energy, HVAC, seismic, and other systems were completely updated to meet or exceed today’s codes, ensuring a safe and more energy efficient facility.